The Queen Elizabeth II Conference Centre (QEIICC) has appointed Sue Etherington as commercial director following the lifting of recruitment restrictions. 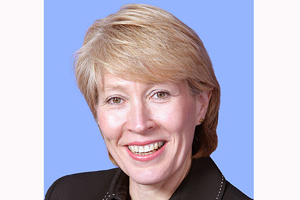 Etherington had been acting commercial director since autumn 2009, but government restrictions on recruitment meant she could not be officially appointed. QEIICC chief executive Ernest Vincent said: "The government restriction on recruitment has been lifted on positions deemed as essential for our business. Sue has done a brilliant job while ‘acting’ commercial director, so we are delighted to be able to officially appoint her to this position." Etherington joined the venue in 2003 as international sales manager. Prior to working at QEIICC she had worked as national sales director at Red Carnation Hotels and sales manager at Elvetham Hall conference centre. The venue has also promoted Ravi Choudhry to the position of senior ICT technician and Paul Simmonds to the position of AV project manager.